The Joseph Norton House - Anchored on the corner of Historic Cooke and School Streets is one of the oldest homes in Edgartown Village. The home dates back to approximately 1700 as a farmhouse at Farm Neck and was then later moved to its current location in 1822. Much of the original details are intact - wide pine flooring, hand-hewn beams and handmade hinges and hardware dating back over 300 years. The first floor offers a front sitting room with glass doors that lead to the spacious livingroom with butler pantry and dining area. Beyond is the kitchen, full bath and laundry. The first level also offers a master with en suite. Front and rear staircases lead to 3 guest bedrooms and bath off a central landing. The yard is lovely and will nicely accommodate expansion. 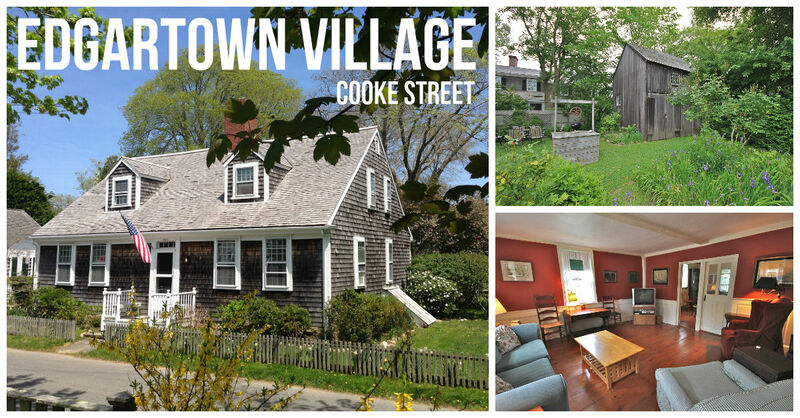 Just a couple of blocks from Main Street and an easy walk to the harbor and Lighthouse Beach.